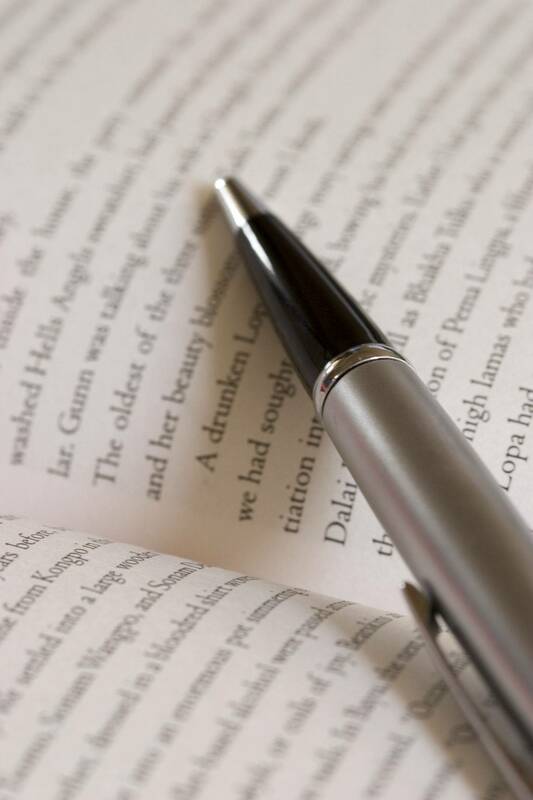 If you enjoy fast-paced adventure stories with just enough mystery to keep you wondering, this is the novel for you. It opens with our hero, Nova, getting the tires shot out of his $100,000 sports car but not knowing anything has happened other than that he got two flat tires. He hikes back into town and gets himself into some trouble with the locals which he manages quite handily. It’s not until the next day when he tries to get his car towed that he begins to figure out something is wrong. His car has been stolen and he very quickly figures out that something in this extremely small desert town is very out of kilter. That’s when the action goes into high gear and it doesn’t stop until the very end of the story. There’s nothing deep in this book, but the plot holds together very well and I resented it every time life intervened and I had to stop reading. 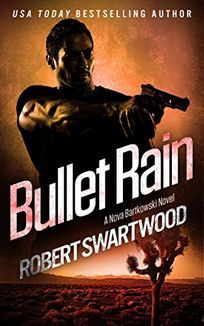 If you like a book ala the Executioner but with a much better plot and slightly more realistic action, give Bullet Rain a try. The Destroyer series is the story of the glorious House of Sinanju—a 5000 year old line of assassins who created the original martial art from which all others are pale derivatives. The current master and his pupil have been hired by a secret agency within the U.S. government (called CURE) to clean up crime and protect the country by working outside the constitution. Each book features ridiculous parodies of current events, politicians and celebrities. 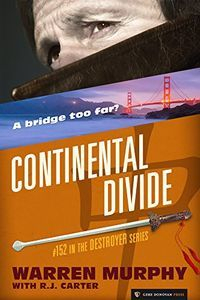 This novel focuses on a poorly defined conspiracy to destroy bridges in the U.S. to boost the air-freight industry. Since it is happening during the presidential election, parodies of Trump and Clinton, both of whom look utterly ridiculous, try to spin the events to boost their campaigns. At the same time, parodies of the Scooby Doo characters are also investigating the crimes. I have read every book in this series, it’s spin off series, and the handful of unnumbered books associated with the series and this one did not measure up to its best standards. The thing that makes the Destroyer so interesting is the banter between Remo (current Master) and Chiun (Master Emeritus and teacher of Remo) and the frustration they cause Smith, the head of CURE. That all important personal storyline was present, but didn’t boost the book as well as it usually does. Also, the basic plot was weak and lacked a satisfying resolution. 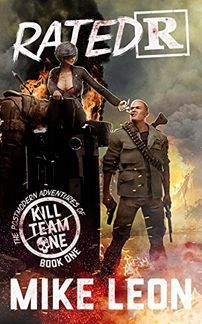 The book is saved from a poor rating because it serves as the set up for a team up of at least two prominent Destroyer villains, so the prospects for the next novel are great. From the book blurb I expected this novel to be something like a classic Arnold Schwarzenegger movie—Commando or Raw Deal—and nonstop action is pretty much what you get. There is nothing deep in these pages, but they are a tremendous amount of mindless fun. The story revolves around two teenagers: Sid—who’s been trained from birth to be a killing machine—and Lily—who’s trying to escape her mother’s truly horrifying ex. Throw in secret government programs and another super soldier and you have just enough plot to justify tons of actions. Lily is the only character with any depth, but honestly the plot doesn’t need much character development. Tons of fun. 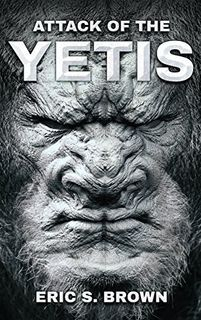 Attack of the Yetis by Eric Brown is an all action adventure without much in the way of character development or evolving tension. The plot revolves around a secret military taskforce (with very few military personnel) who have snuck into Antarctica looking for aliens believed to have crashed there. What they find instead are yetis—presumably alien yetis—who attack on sight and apparently for no reason other than that they feel hostile. So humans and yetis kill each other in large numbers. Because the author didn’t take the time to introduce his cast before he started killing them off it is difficult to develop a lot of sympathy for the victims of this massacre.